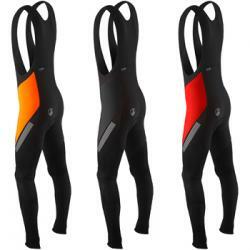 These are bib tights that are designed for long distance riding. They are made from Light Textran material on the front and Vuelta Winter Lycra on the back. They have a three layer anatomical AirProPad, flat seems for next-to-skin comfort, refective logo on back and side edgings.